Lucassie Etungat was last seen on June 29, 2016 in Iqaluit. On July 12, fishermen found his ID and a jacket on Long Island in Koojesse Inlet. RCMP in Iqaluit have received new information in the disappearance of Lucassie Etungat two years ago. Etungat was last seen on June 29, 2016 in Iqaluit. 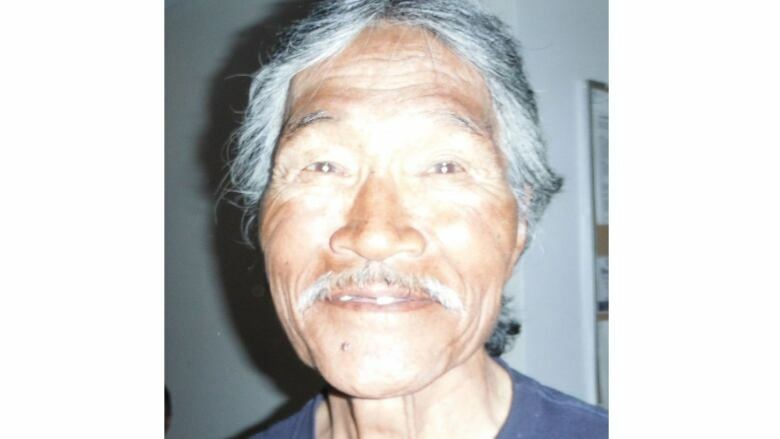 According to RCMP, on July 12, fishermen found his ID and a jacket on Long Island in Koojesse Inlet. They reported the items to the RCMP. RCMP would not say what kind of identification was found. It's not clear if the jacket belonged to Etungat. Officers searched the area, but they found no further leads. Etungat ​is a well-known carver originally from Cape Dorset. He had also lived in Kimmirut and most recently in Iqaluit. Police are asking anyone with information on his whereabouts to contact them. Anyone with any information can call Iqaluit RCMP at (867) 979-0123 or Crime Stoppers at 1-800-222-8477 (TIPS).